We’re not going to nag (too much), but it’s fall and winter is just around the corner. If you’re not the kind of person who circles a date on your calendar (in red) to get this done, then allow us to be the first to tell you. It’s time to start thinking about sprinkler blow outs. And why? Because any minute now, the first frost is going to descend, freezing the ground in which your sprinkler system is installed. If there’s still water in those pipes, guess what’s going to happen to them? That may not sound like front page news, but if water freezes in the lines and components of your sprinkler system, you can have burst pipes on your hands. If you’ve also not shut down your system’s water source for the season, you can make matters even worse. For real. It’s right around the corner. That means it’s time to call Wetscape, a Royal Irrigation Company, to get your sprinkler system ready for winter’s rigors. There’s a process involved. You may think it’s not worth your while, or you may believe you can do it yourself, but done it must be, if you’re to avoid a costly headache in the spring. If you’re the homeowner who installs a sprinkler system and believes it will “take care of itself”, you could be in for a bit of a shock. That’s why we’re here to tell you it’s time to start thinking about sprinkler blow outs. Maybe your irrigation system was there when you moved it. You probably thought to yourself, “Now, that’s a great thing to have!”. You bet it is! An in-ground sprinkler system is a key amenity for home owners who like to keep their lawns looking their best. But a sprinkler system is also something you need to take care of, especially as winter approaches. Winter is coming and you need to be ready. Doing right by your sprinkler system is as easy as a call to Wetscape, a Royal Irrigation Company. We’re irrigation professionals with more than 20 years’ experience. We’re experts who install and maintain sprinkler systems, offering our customers outstanding service. Even the slightest shadow of a doubt can be your worst enemy, when it comes to your sprinkler system. If you’re not 100% sure your system has been correctly “blown out” and that not even a drop of water remains in your pipes, valves and components, then you need professional support. Wouldn’t it be awful if you destroyed your sprinkler system by accident? It could happen. That’s why it’s so important to call a professional outfit like ours to get the job done right, before that crucial first frost hits. 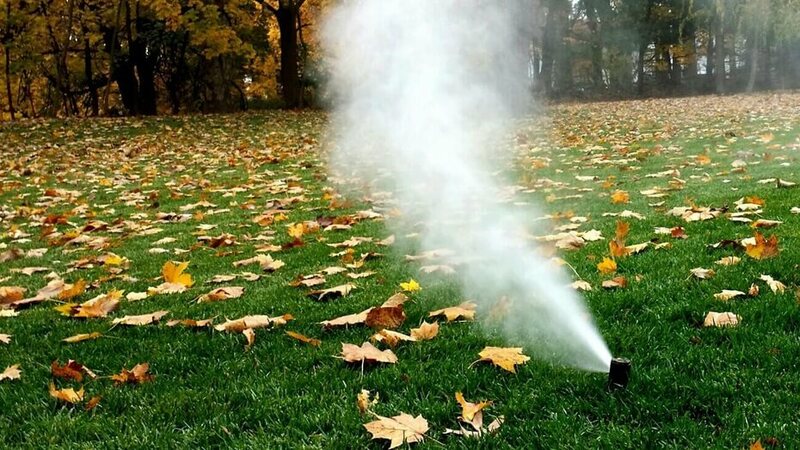 At Wetscape, a Royal Irrigation Company, we perform affordable, professional sprinkler blow outs that prepare your system to rest for the winter season, safe in the assurance that all water has been removed. Don’t roll the dice. Call us for winter peace of mind.